We’re excited to share more details on The Healing Wisdom of Herbs, the next session of our workshop series! 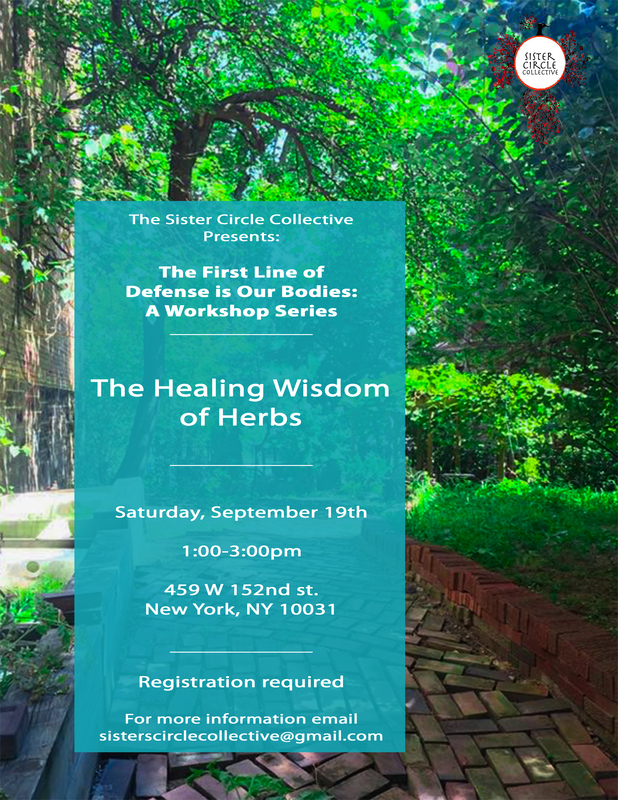 The session will focus on identifying herbs, healthy living, and much more in collaboration with a community garden in Harlem. The facilitator will be Core Sister Glenda Ullauri, who’s work involves intergenerational programming in urban agriculture and food justice that is guided by the unconditional love for our pachamama and compassion for all living things and ancestors. This session will be very similar to last summer’s Cultivation Circle, which can you find a clip of below. More details can be found in the flyer below and on the Eventbrite page. Be sure to reserve your spot at this session here.